In its 26th year, the Riverside Festival of Lights has significantly impacted the Riverside community. The official 2018 lighting took place Nov. 23, and the display will continue until Jan. 6, 2019. 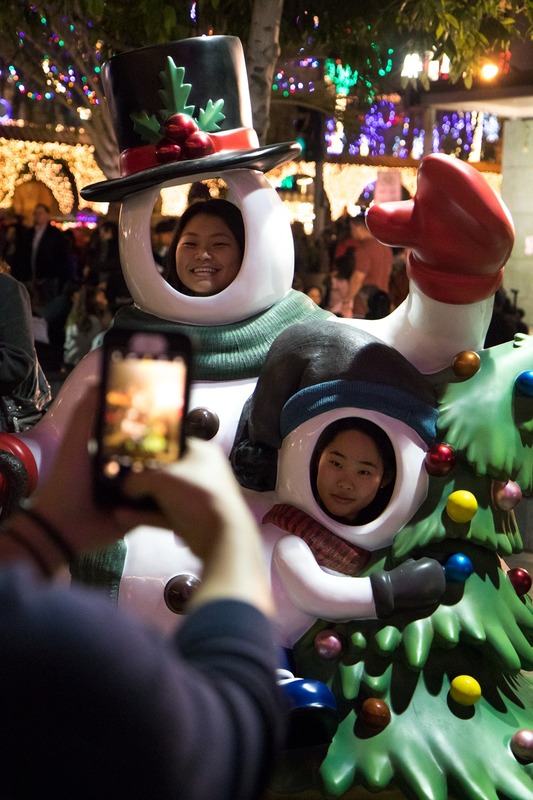 Many consider the event a staple in the Southern California holiday season. It showcases the historic Mission Inn Hotel & Spa’s display of holiday lights and decorations. Attractions at the Festival of Lights include the Artisans Collective, lighted displays, rides, entertainment, food vendors, Santa Claus and more. The idea for the Festival of Lights came from the city at Sendai, Japan, and its Sendai Starlight Pageant. The creators of the Festival of Lights wanted to create an event of festive celebration for children and families. This event started out as a one-day ceremony and has grown to a nearly six-week-long event. The city of Riverside began its involvement in 2006 helping to create this into a signature event for the community and Southern California. Not only is the Festival of Lights popular in Riverside, but it also positively impacts the Riverside economy. Margie Haupt, senior project manager at the Mission Inn Hotel & Spa, said the Festival of Lights sets Riverside apart. One example of this is the event attracts tourism, benefiting the city. This event creates jobs for people in the local community. An impact presentation done by the company reported the Festival of Lights created a total of 1,430 jobs as of last year. Caleb Russell, sophomore mechanical engineering major, described how the Riverside community is affected by this monumental event. “It’s something everyone in Riverside looks forward to every year. There aren’t many big events that take place here other than Festival of Lights and it really brings the whole city together,” Russell said. Guests come from different places to see the festival. Sixty-five percent of attendees said they hear about the festival by word of mouth, 22 percent attend regularly and 22 percent hear over social media, according to the festival’s website. The Festival of Lights has allowed Riverside to be recognized on a national level, including coverage by national news oulets. Haupt noted the economic effect the recognition has on Riverside and the event itself. “It has had a significant economic impact. Last year the economic impact for the event was $129.7 million,” Haupt said. Tori Clemens, junior liberal studies major said the festival brings Riverside and extended communities together. Haupt said her favorite part of the festival was helping create special moments for people. “Knowing that we are creating moments for families, friends, and the community, I love it,” Haupt said of the event. The Festival of Lights festivities will continue through the first week of January.